We gave you a list of delicious breakfast choices in the previous article. Hope you have made mental notes (stick notes also will do just fine!) of those. Here are three more items that could entice the food part of your brain for the coming days. Anyone claiming to be a connoisseur of Hyderabadi food must have these impressive dishes which are very much part of the brand Hyderabad food. Lukhmi is the Hyderabadi twist of our regular samosa. Instead of the vegetarian filling, you will find spicy minced mutton meat. 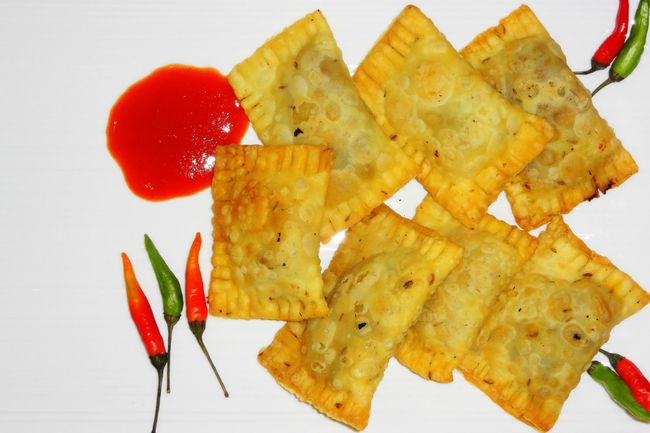 Also, the shape will change into a square patty than the typical conical shape given to a samosa. In the Hyderabadi tradition, Lukhmi is usually a starter or a snack. This is another starter that is offered in restaurants in and around Hyderabad. 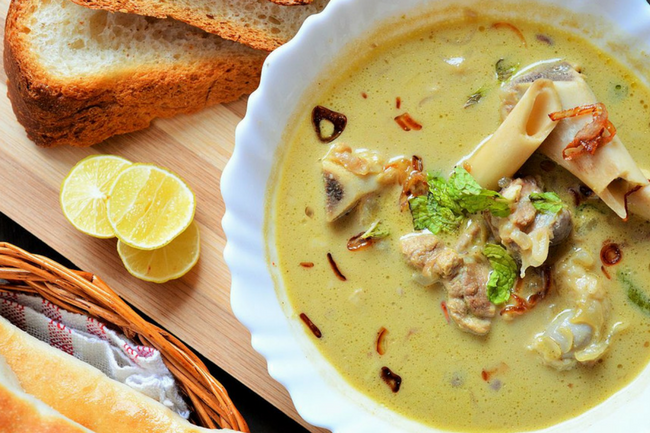 This a variety of spicy mutton soup made from tender mutton with bone. The rich ingredients such as onions, cashew, coconut milk, cardamom, ginger, garlic, cloves, black pepper etc, make sure it remains one of the favorite starters in typical Hyderabadi weddings. Maghaz means brain. 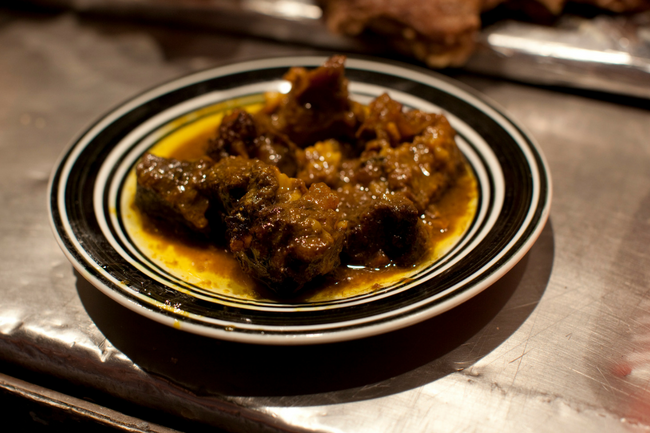 Maghaz masala is generally made with goat brain and is a dish usually made during the month of Ramzan when heavy dishes are favored at the end of the fasting. This Hyderabad delicacy is a dream come true for every non-veg lover and is top in the charts for the fans of Hyderabadi food. Absolutely lipsmacking, this dish will make you forget all the propriety of a foodie and get you to lick your fingers clean! So, when you get a chance to try out these dishes, don’t be a baddie. Just give in and enjoy.